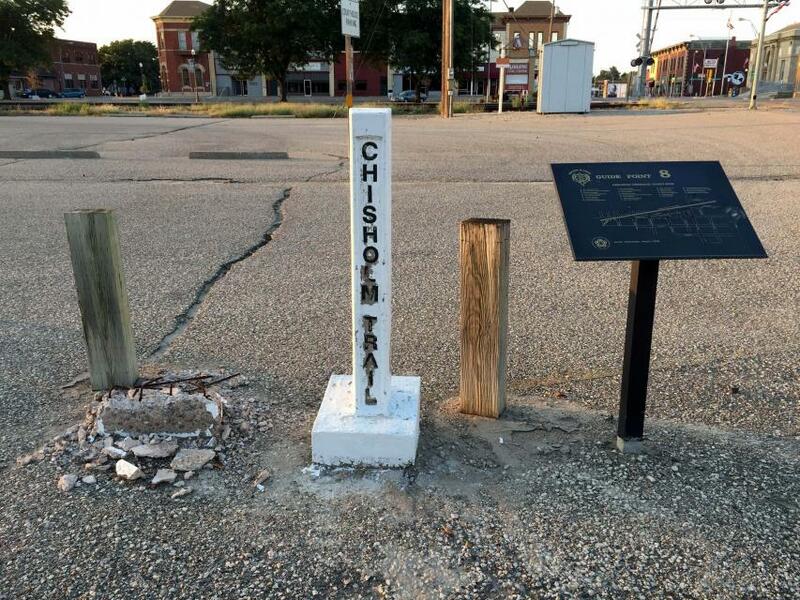 This post commemorates and marks the first terminus of the old Chisholm Cattle Trail, which extended from Brownsville, Texas, some 1,000 miles to the south. This post is identical to 400 Trail posts placed across Oklahoma (Indian Territory) by Bob Klemme of Enid, OK. to mark the exact trail. This marker can also be identified by its HM code. You can use the hashtag #HMXHN in tweets, and any other place where you might refer to this marker, including when searching on this site.